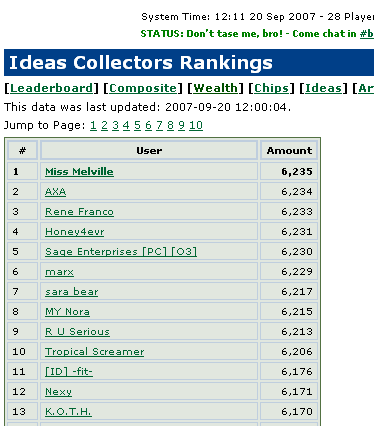 Believe it or not I’m #1 in ideas! Not that it really matters, sooner or later people are going to get the ideas. They can link to them, find them, win them at Chances, trade for them, etc. It will happen. You just need some determination and a lot of patience. Meanwhile, I’m once again behind on artifacts. They released a bunch of them, some of which are not easy to get. But again with patience, eventually I’ll get them.